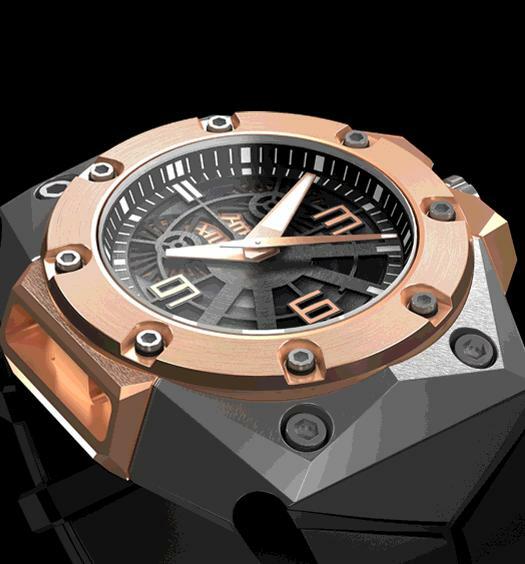 The latest incarnation of the Oktopus II from Linde Werdelin is a very handsome18kt Rose Gold Titanium edition. So handsome they even decided to take it for a drive while wearing it, because even the most used dive watch will only be worn underwater for a fraction of the time, so it's essential to look good on dry land too. 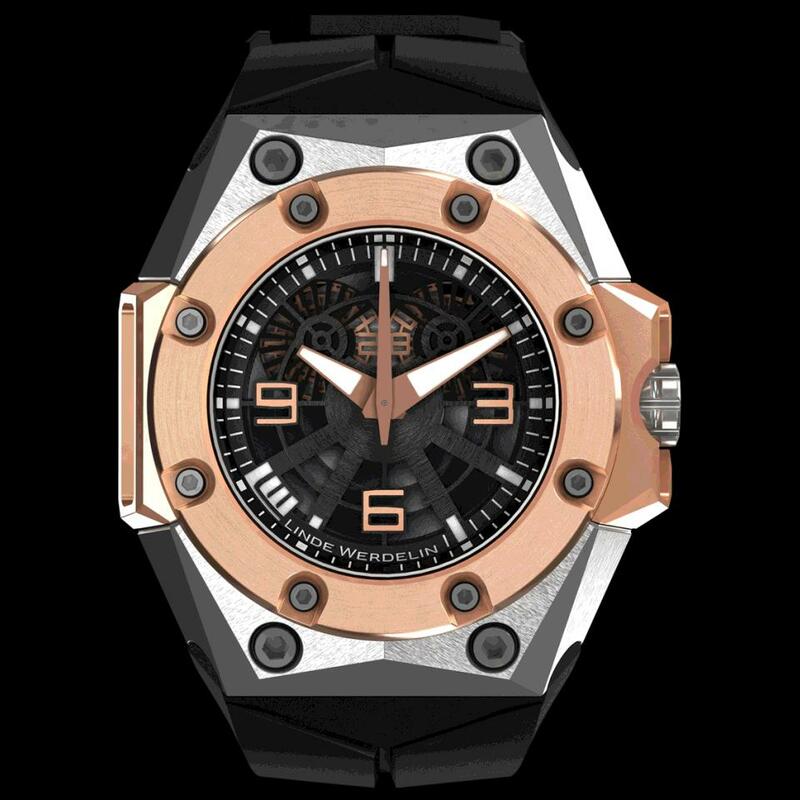 The watch is individually crafted in titanium and adorned with a rose gold bezel and two side units to create a stunning contrast, the Oktopus II Rose Gold Titanium features a big date in double wheels, powered by a highly finished Dubois Dépraz custom-made automatic movement for enhanced readability. The 2-layered dial is laser-cut in stencil technique into an octopus representation at the layer on top, and with circular Côtes de Genève finish to resemble water ripples at the layer below. 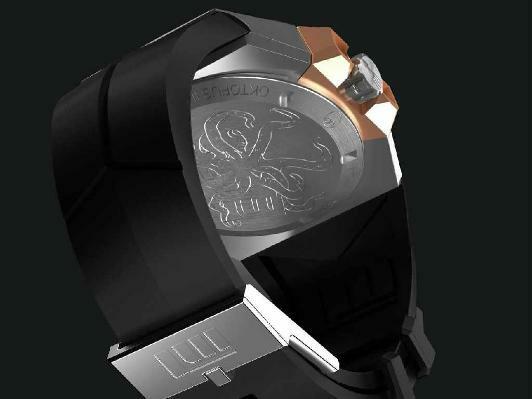 The Oktopus II is both a technological and ideological advancement on the original Oktopus. 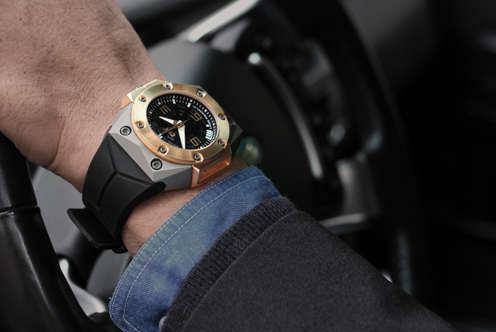 The brand new and innovative case construction of the Oktopus II benefits from Linde Werdelin’s in-house knowledge in crafting highly sophisticated dive instruments. The combination of the Oktopus II and the Reef reflects our philosophy that "time should be read analogue while performance should be measured digital". The Oktopus II Rose Gold case construction ensures absolute water resistance and excellent anti-corrosive protection given by the finest materials employed, such as gold and titanium. The case back is intricately engraved with an octopus graphic specially created by Morten Linde. The crown also carries an engraved octopus symbol. The watch is powered by a Linde Werdelin LW04 customised Dubois Depraz calibre 14580.Oktopus II – Rose Goldin rose gold and titanium retails at CHF 21,000, all exclusive of VAT.